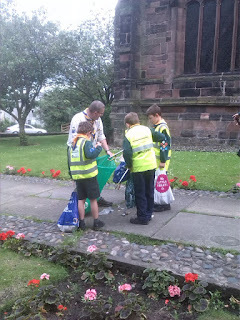 Middlewich Clean Team were out and about on Monday Evening with the 2nd Cledford Brownies. 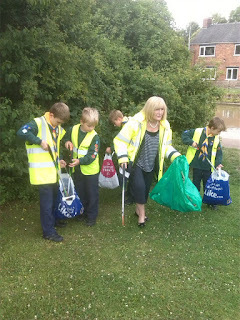 As you can see from the photographs they were all enjoying the litter picking along the canal. 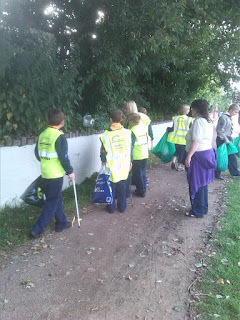 We had approximately eighteen brownies and their leaders helping to keep our town tidy and litter free. 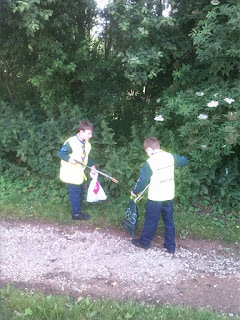 Our next litter pick is Saturday 18th July, meet in Morrisons Car Park at 2pm. 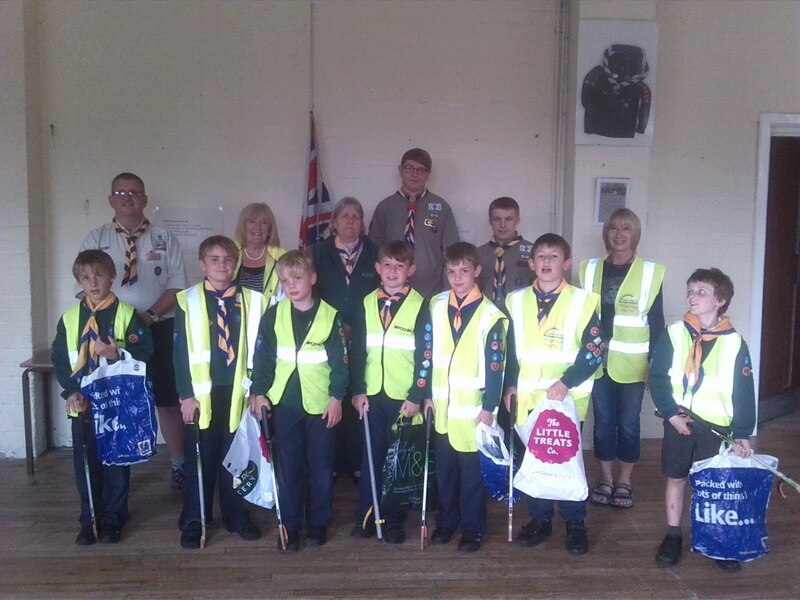 This will be our last litter pick until September so I and all the Clean Team Committee would like to wish you a wonderful Summer. Don't forget also that we have an event going on in our town over the weekend – the Classic Car & Bike Show. This means, of course, that there will be a lot of people out and about and it is especially important to try to keep our town tidy. So, if you have a little spare time on Saturday or Sunday, I'm sure that any litter picking we can do will be really appreciated. Looking forward to seeing some of you on Saturday. 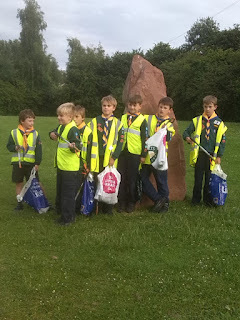 Just a quick reminder - our next litter pick is Monday 13th July, meet in the main Tesco Car Park at 2pm. If you can, please bring a friend for an hour's litter picking. Hello Everyone ….. I spotted Darren yesterday smartening up the CCT post at the bottom of Southway. I hope that you agree that this is going the extra mile. I was so thrilled as this was one of the improvements that CEC sanctioned at the end of last year. 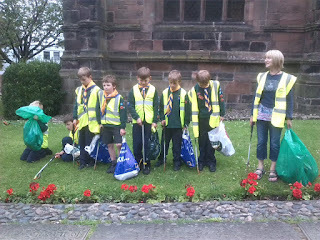 Permission was granted but Darren did the job on behalf of Middlewich Clean Team in readiness for the Makers Market. Darren also painted the post on Wheelock Street near the junction with St. Michael's Way and has is eye on the one at the Bull Ring could do with the same attention! Well Done Darren it has made such a difference in this area.